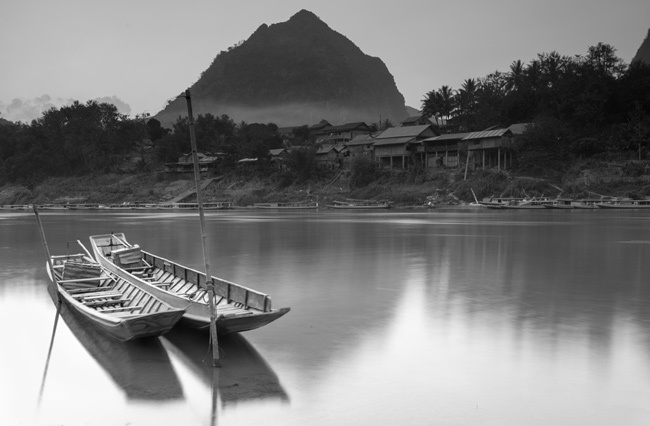 As soon as we arrived we knew Nong Khiaw was special. 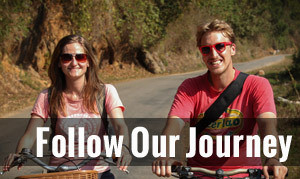 We overheard people saying: “Oh yah, Nong Khiaw is the next Luang Prabang“. We soon saw why, it’s sleepy, relaxing, beautiful and laid back rolled into one. 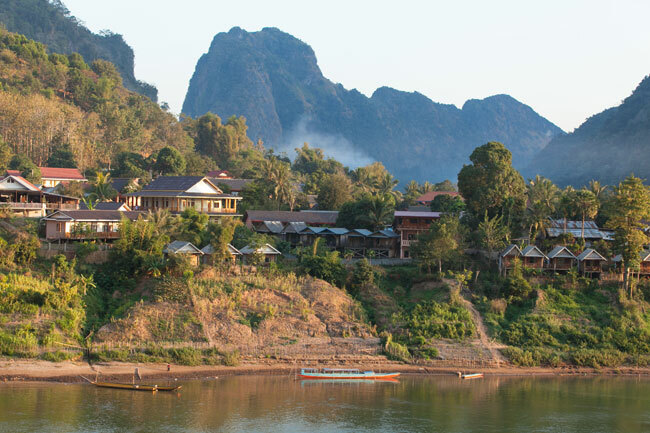 Situated in rural Northern Laos, Nong Khiaw is sooo chilled out, that we decided to write our own guide to help you max your relaxing! Let’s get started… This map shows the key places mentioned below, plus everything else around Nong Khiaw. Now get relaxing! 1. Get a bamboo bungalow with a river view and hammock! Eloise getting down to some serious chilling! The east bank of the Ou River is lined with lovely little bamboo bungalows, all overlooking the Ou river. What better way to chill out than swinging in a hammock with a good book with a view of both the river and the surrounding mountains. 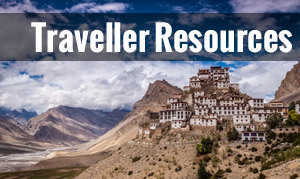 We were lucky enough to land a great bungalow straight off at the Sunrise Guesthouse. 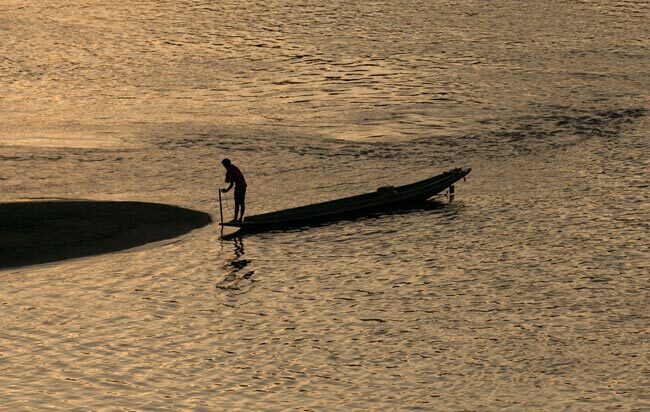 Riverside Resort, Meexai, Bamboo Paradise, Nam Houn, Sunset Guest House and Sengdao (on the west bank) have bamboo bungalows with river views for varying prices and degrees of quality! While it’s not really a beach, there’s a little bit of sand on the bank of the river to enjoy. Its especially nice when the sun’s coming down, the sky becomes clearer and the water reflects the karst mountains. 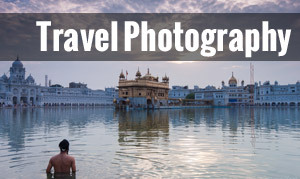 Some falang were sunbathing in bikinis when we were there, which I don’t think is really appropriate in Laos – So cover up or head to Vang Vieng! You can get down to the river bed from the ATM on the east side of the bridge. The Morning Dew Spa and Sabai Sabai both offer a range of relaxing treatments to cater to the weary traveller. If you want a treat, as well as various massage options, Sabai Sabai has a herbal sauna, costing 20,000 Kip including tea and towel and a hot shower afterwards. Morning Dew offers treatments like waxing as well as multiple massage options, including traditional Lao massage (like Thai but a little less vigorous). 4. Coffee, Coffee and Coffee… and Wi-Fi! 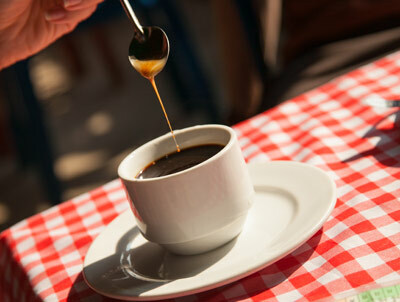 A massive fan of strong thick coffee with a good slug of sweetened condensed milk (ask for Ca-fe Nom) nearly every restaurant sells good Lao coffee – but some better than others. Our favourite place for a caffine hit was Vongmany Restaurant. They serve up a nice strong one in a proper mug (6000Kip). 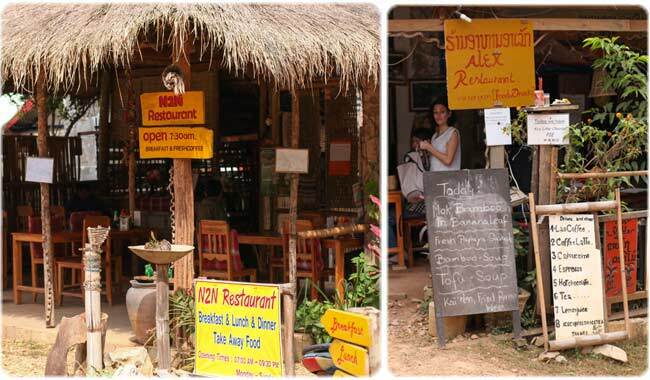 N2N and ‘Alex’ restaurants serve up a good coffee! The bridge is the prime position to enjoy the pretty much guaranteed jaw-dropping sunset over the mountains, plus it’s free and you don’t have to buy a drink! But CT Restaurant’s outside seating is probably the best place for a sunset Beerlao or two. 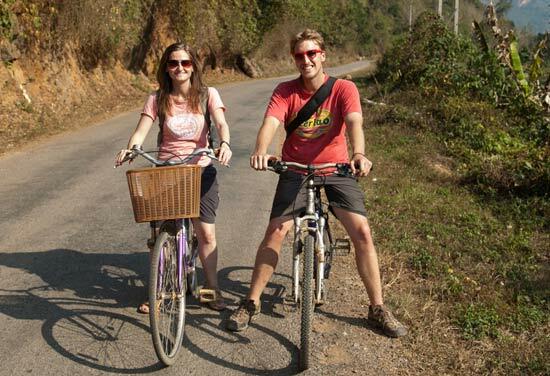 Tham Pha Thok cave is a leisurely 3 km ride east from the bridge. You can’t miss it, there’s a massive sign on the road pointing down to a ticket booth off the main road. It costs 5000 Kip for a ticket into the caves, which housed the Pathet Lao fighters and government during the second Indochina war. The US Air force pounded the majority of Laos on the hunt for Vietnamese high in the mountains on the Ho Chi Minh trail delivering supplies back into Vietnam. Bring a flash light! Absolutely essential if you want to go in, our guidebook said you can hire one at the ticket counter, but best to bring your own. The main cave is accessed by some incredibly steep stairs up to the lime-stone cave entrance. Once inside, the darkness reigns and you’ll need your flash light to see where you’re stepping. There are some signs inside stating who slept where and what each cavern was used for during the bombings. It’s hard to imagine living there like many did, fearful of US bombs falling from the sky. Looking out at the surrounding countryside from inside the cave, I could imagine the Pathet fighters looking out at a landscape that probably hasn’t changed much in 50+ years. But the best cave is about 400 metres around the mountain, to the left as you look up at the main cave entrance. There’s a little path that passes farmers huts in the field – keep heading on this path through banana groves and semi-jungle until you reach another cave opening. 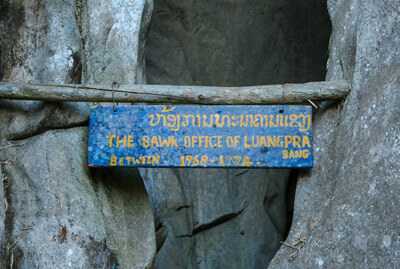 Apparently used by the Bank of Luang Prabang during the bombings (according to the sign), this cave goes much deeper down into the mountains and is more tunnel-like. It gets pretty narrow in parts, so it’s not for the ultra-claustrophobic, but if Eloise can manage it, then so can you! So for the same price as a coffee, the Tham Pha Thok caves make for an adventurous few hours break from chilling in Nong Khiaw. 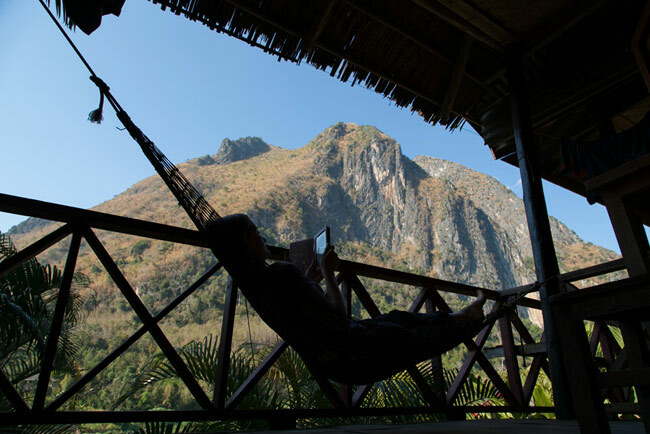 We hope you manage to relax as much as we did during your stay in Nong Khiaw!